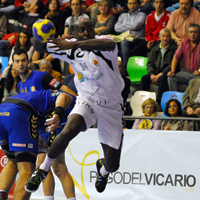 03.04.2011 - The French champion, Hamburg and Flensburg take last three places in the Quarterfinal of the VELUX EHF Men’s Champions League. 26.03.2011 - Kiel and Flensburg win their away matches in the first leg of the Last 16. 10.03.2011 - Find the playing times for the Last 16 in the VELUX EHF Men’s Champions League.